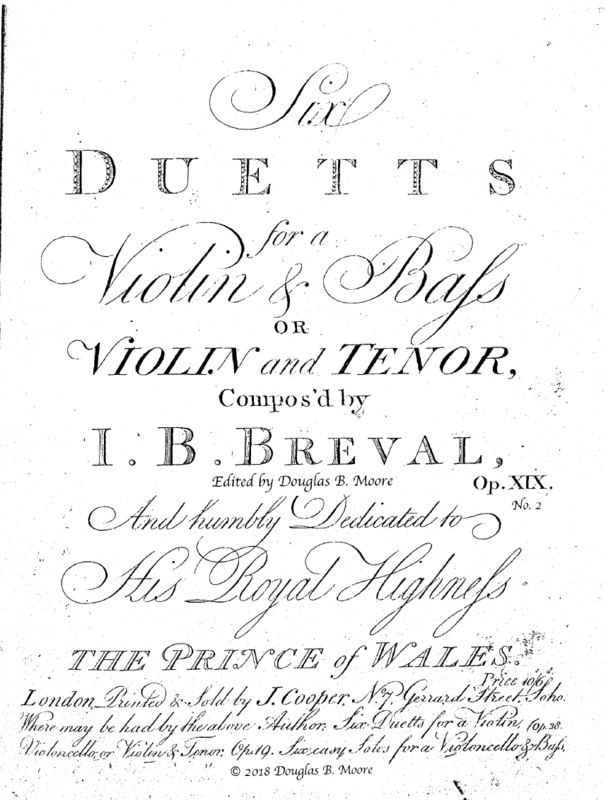 Bréval: Duett for Violin and Viola, Op. 19, No. 2 in G Major. Facsimile of edition from early 1780s (parts only) and modern performing edition, score and parts. The first movement is a sonata form, the second a brief Adagio, and the third an Aria with 3 variations.